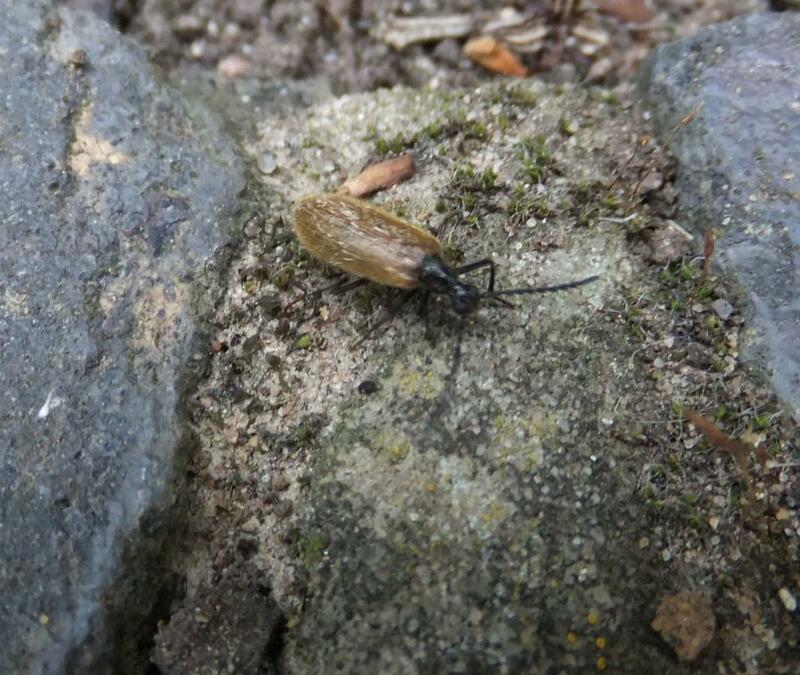 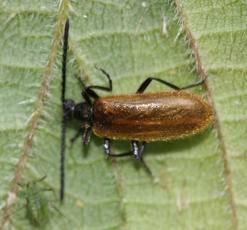 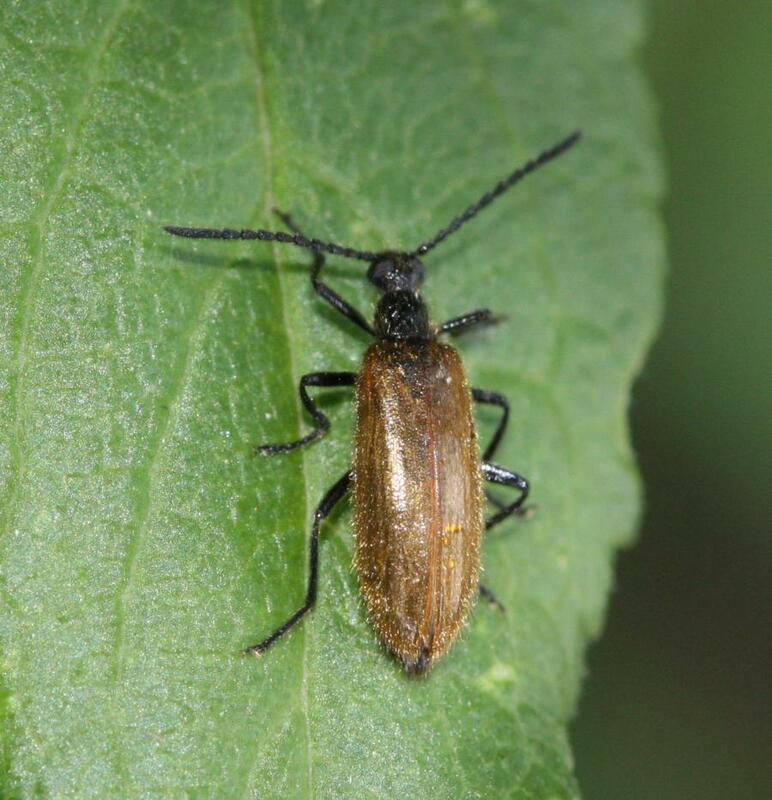 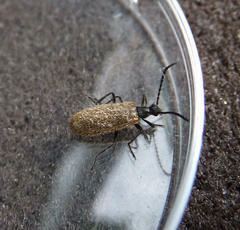 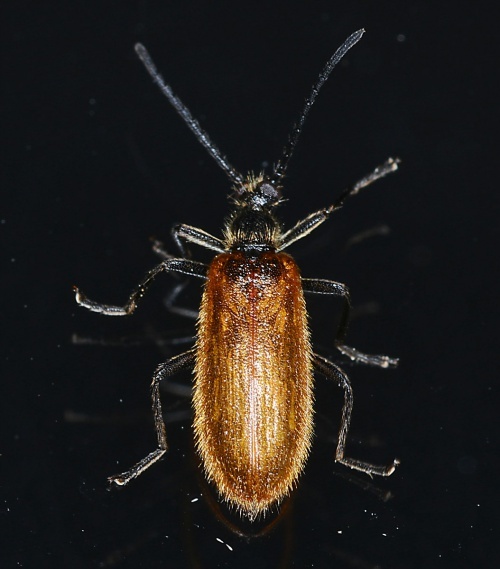 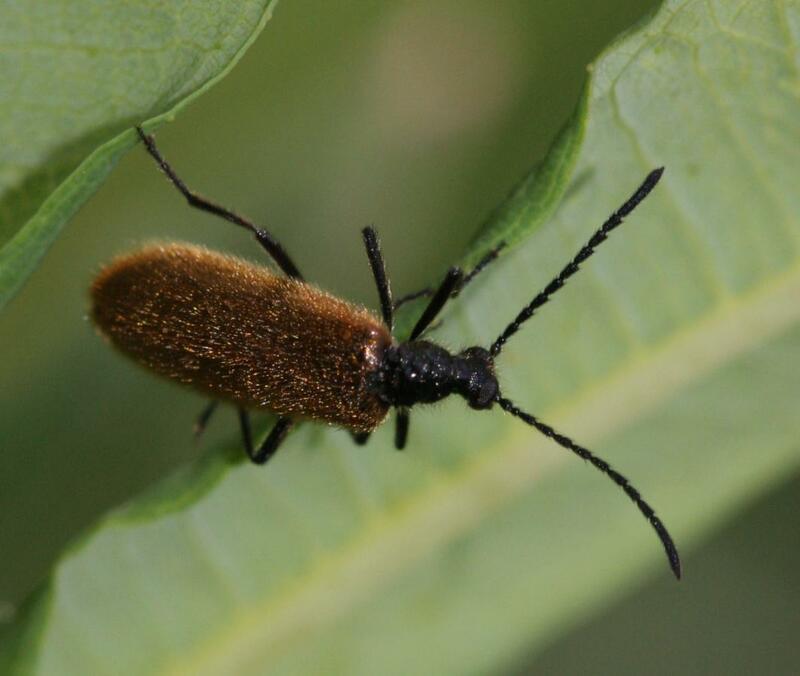 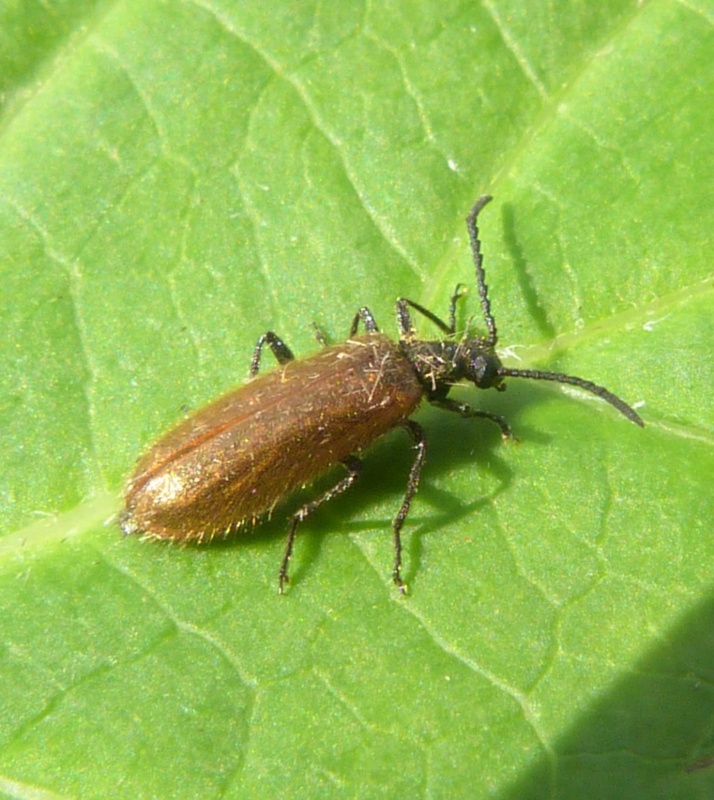 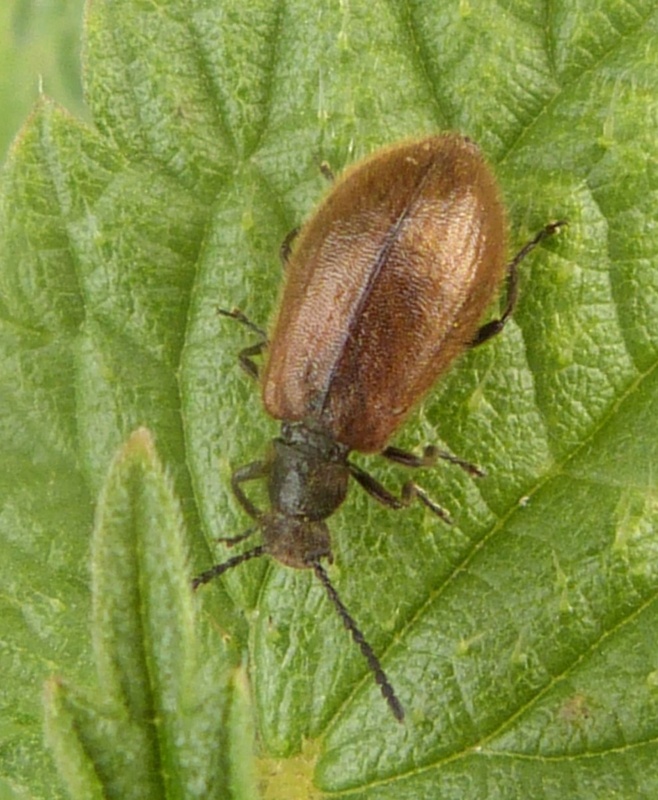 This beetle has conspicuous yellow-brown wing cases with a darker head. It also has a rather odd oval sort of shape. The whole animal is conspicuously bristly. Found mostly in areas with light or sandy soils. 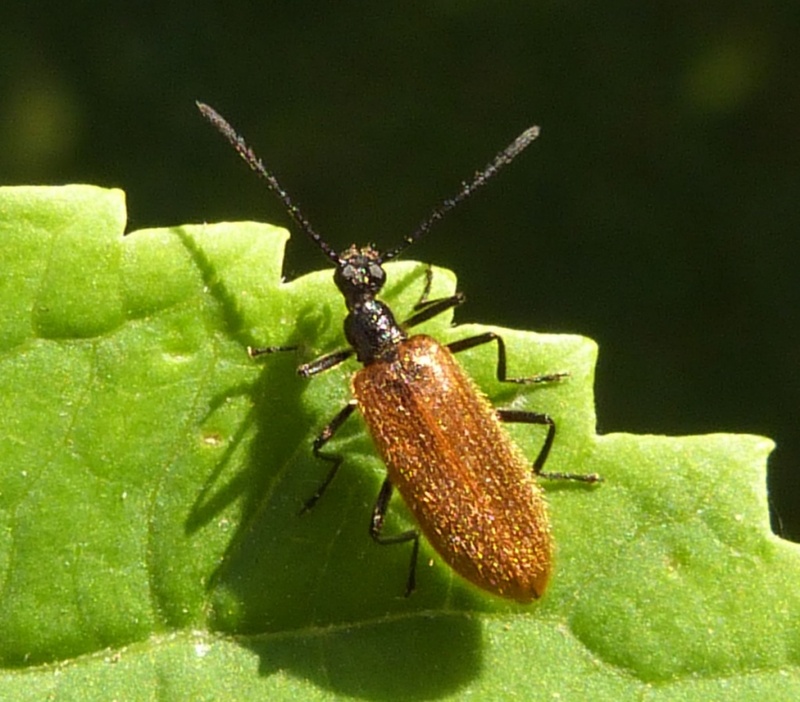 The adults feed on nectar and pollen on open-structured flowers such as Daisies or members of the Carrot family. 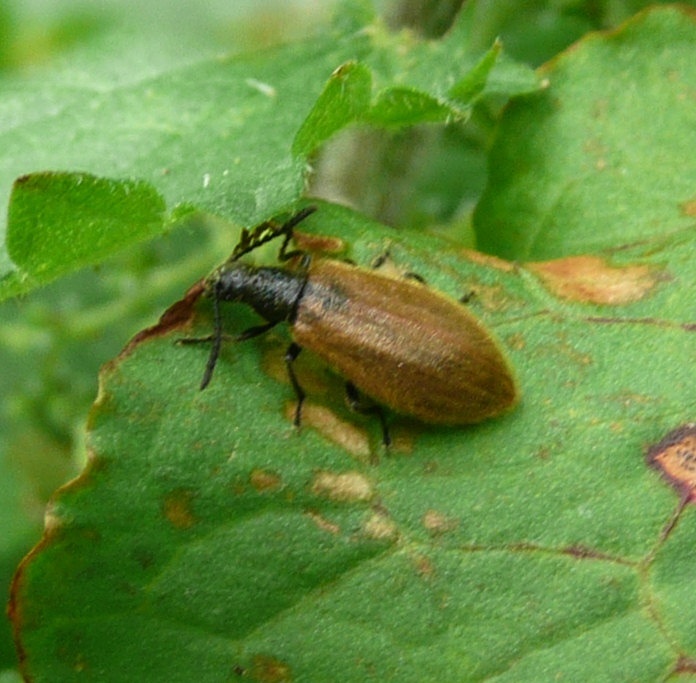 The larvae eat decaying plant material in leaf litter and turf. This is a fairly common species in sandy places in southern Britain, becoming more localised in the north, where most records seem to be from coastal areas, perhaps reflecting its preference for sandy soils. 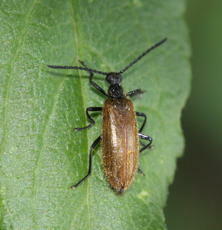 The species is fairly common in suitable areas of Leicestershire and Rutland. 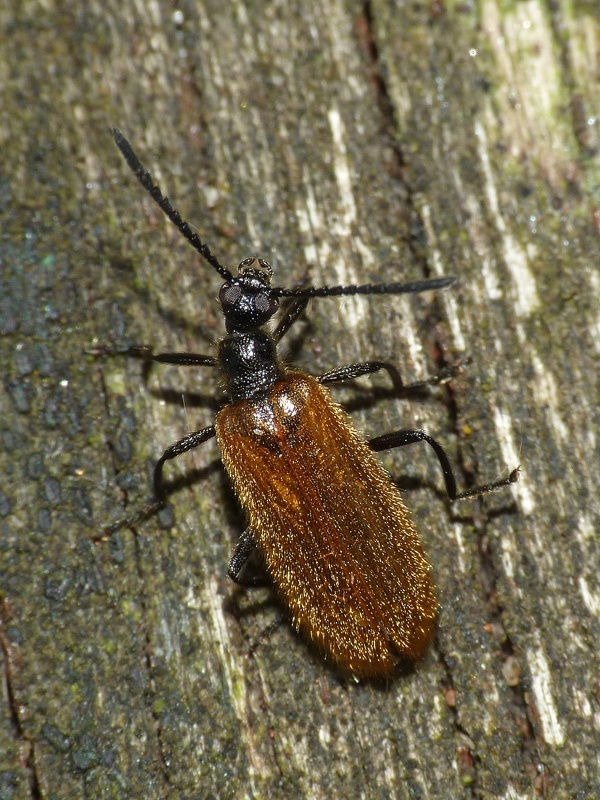 There were a total of 62 VC55 records for this species up to March 2015.